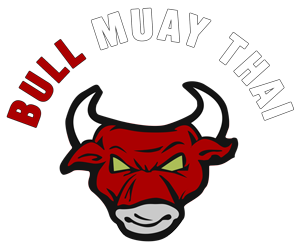 Bull Muay Thai is not just any kind of Muay Thai School. 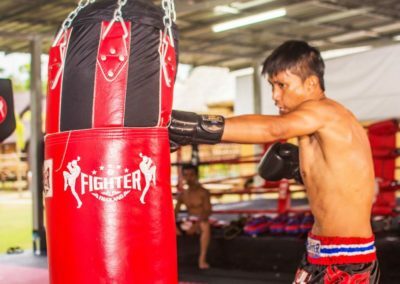 Consider us a strong family instead, one that is dedicated to one and the same thing; the love of Muay Thai and martial arts. 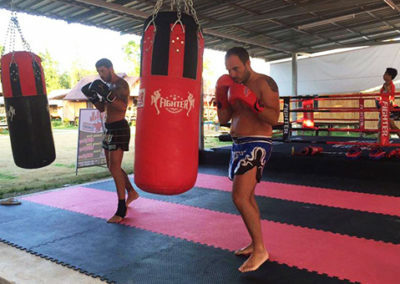 We are among the best Muay Thai schools in Thailand, a fact that we’re very proud of, but didn’t get to overnight. 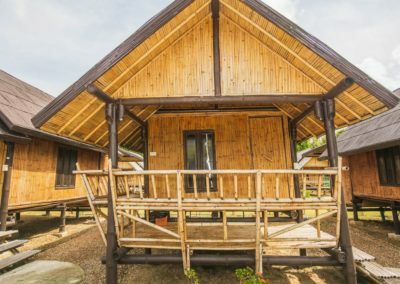 We welcome everyone to become a part of our strong family, no matter if you’re novice or expert. We adapt to your fitness level, help you learn in your speed, but also continue to push your own limits, so you can reach new goals every day. 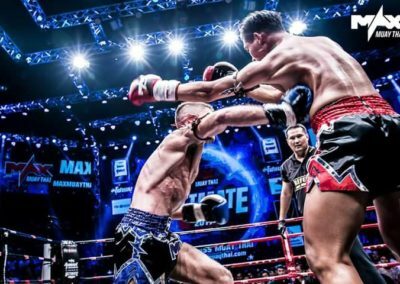 Our instructors take time to show you the beautiful art of Muay Thai, and we give you access to all the tools that are necessary in order to become successful in the sport. If not from our instructors, you can be sure of that also our members are more than happy to show you a trick or two while you’re here. You won’t be thrown into the ring from day one, you won’t be chased or yelled at, we motivate you in a way that makes the sport fun; where you become the one pushing your limits. 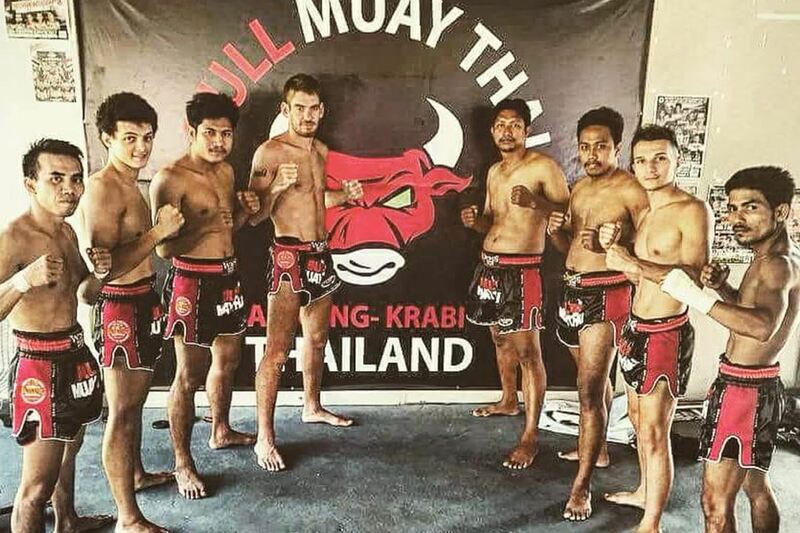 Here at Bull Muay Thai we believe that family comes first. 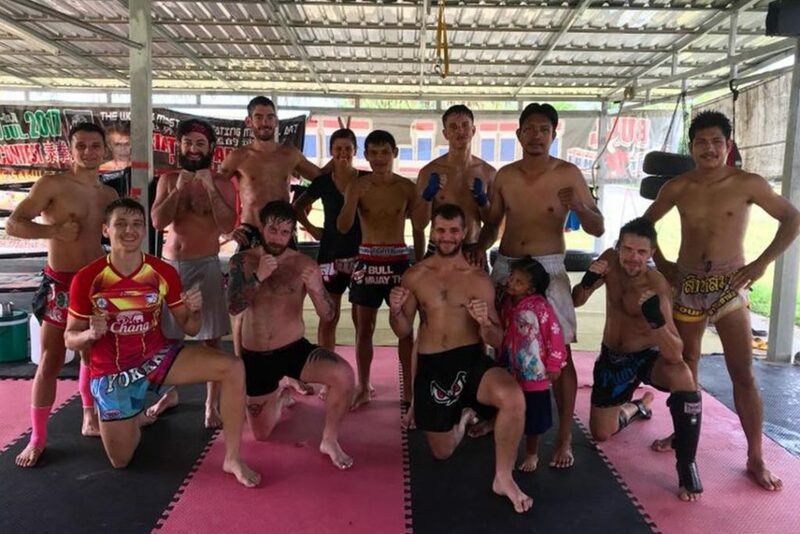 No matter if you just want to loose weight, strive to become a potential fighter, or just want to try out the art of the 8 limbs, we are with you every single step of the way. That’s our guarantee! 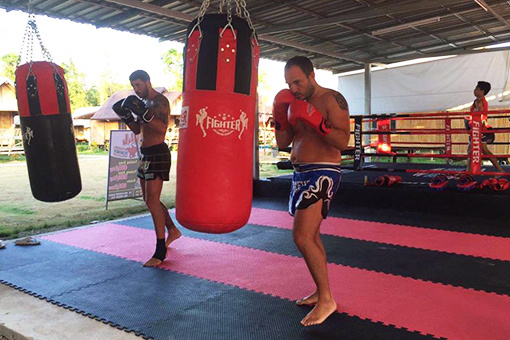 Our Muay Thai School teaches you the true art of Muay Thai through physical, mental and spiritual training. 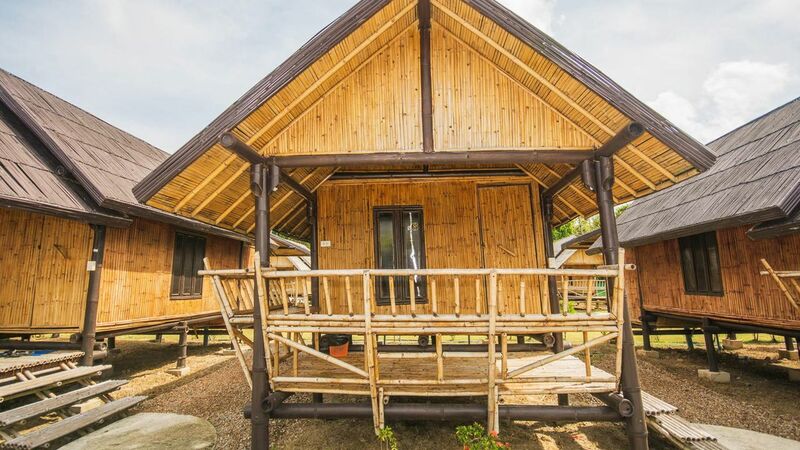 We abide to the traditional ethics; to respect others, to show humbleness, to be gracious, kind and open-hearted. 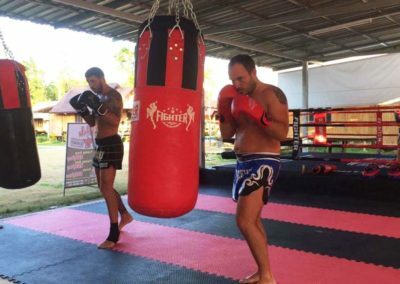 Through the art of Muay Thai our focus lays on building confidence, self-respect, harmony and awareness to the world around us. 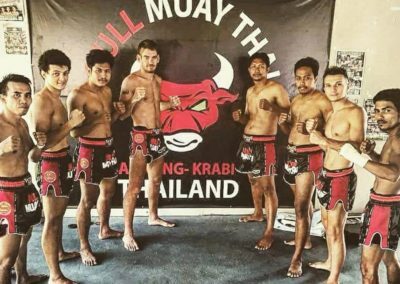 All our classes at Bull Muay Thai School are structured in such a way to push each individual to a higher mental and physical level, with a positive and supportive environment, so that we get healthier, happier and better people than we were yesterday, so we may enjoy life to the fullest. 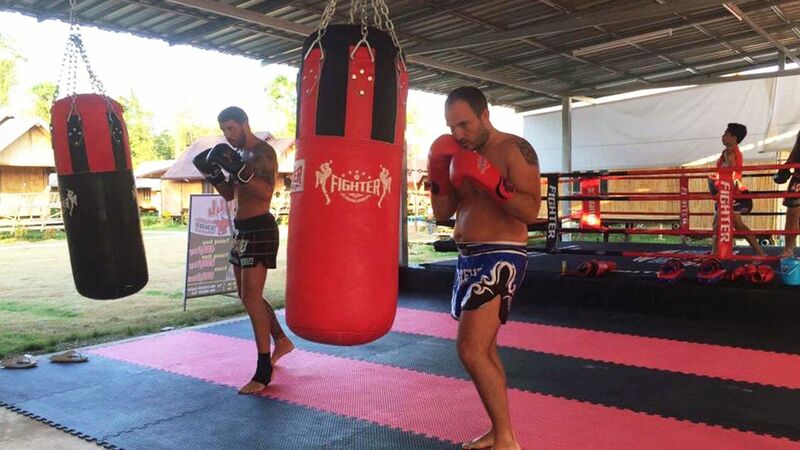 Our instructors are all dedicated, motivated and well-experienced in the traditional art of Muay Thai – all well-versed in English and Thai, friendly, helpful and fun-loving just like the rest of your fellow students, who also are more than willing to get you started in the wonderful art of Muay Thai.